Lucknow, April 13: Reacting to Uttar Pradesh CM Yogi Adityanath's comment that "if the Congress, SP, and BSP have faith in Ali, then we have faith in Bajrangbali," Bahujan Samaj Party (BSP) chief Mayawati on Saturday said that her party believes in both "Ali and Bajrangbali." Mayawati further added that there is "proof that Hanuman ji (also known as Bajrang Bali), was related to the Dalit caste." Dalits Seek Possession of All Hanuman Temples After Yogi Adityanath Claims Bajrang Bali Was a Dalit. Yogi Adityanath accused the SP-BSP and Congress of "insulting" sentiments and said, "They have agreed that followers of Bajrangbali will never forgive them. That is why they go on stages and cry ‘Ali-Ali’ and they want to send a ‘green virus’ to bite the country.” Yogi Adityanath Takes a Dig at Kamal Nath Video, Says 'Congratulations to Them For Ali, But We Have Bajrangbali'. 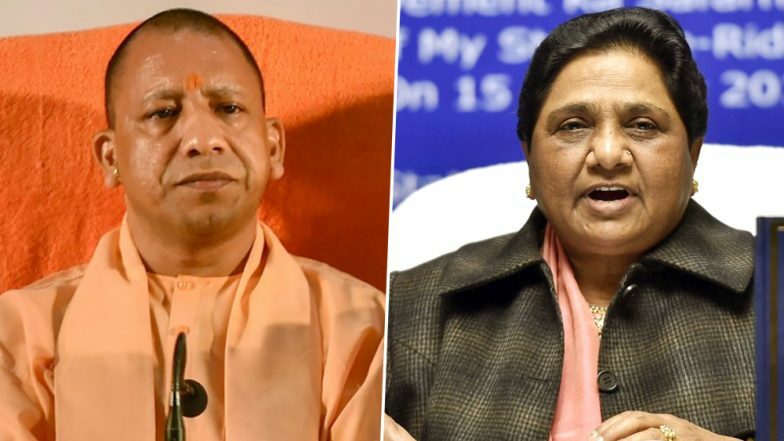 However, taking note of complaints against CM Yogi Adityanath and Mayawati, the Election Commission on Thursday issued notices to both the leaders over their remarks allegedly loaded with "communal content" made during campaign speeches. Yogi Adityanath assured the EC that he won't make such comments again.